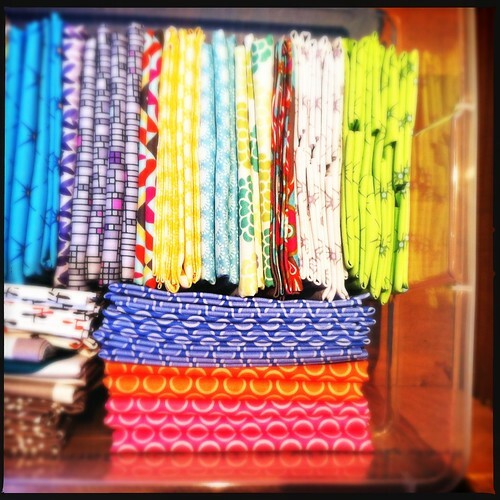 Get your needles ready – Memphis has a brand new fabric store. Update May 2014: Sew Memphis has moved to a new location in Overton Square. Mary Allison Cates and her business partner Susan Schwartz had the idea to open a Midtown fabric store in February of this year. When the perfect building became available shortly after, they jumped. The shop officially opened last week. The shop is small, so they've been careful in their fabric choices, picking colorful, vintage-inspired designs by independent designers. Sew Memphis is also offering super affordable ($20 – $60) classes in quilting, clothing and basic sewing. Sew Memphis is open Wednesday – Sunday during the day. I am wanting to ask a question, but the phone number posted for your store is not working. My question is I want to applique children's clothing and I want to do the appliqueing with the raw edges showing. I know I am to use the double sided sticky stabilizer but I am not sure exactly how to do the appliqueing. I saw that you had an owl on a pillow there like I want to do. Can you either give me your telephone # and me call or instruct me in my email. hi joy and others, so sorry i am just now seeing this! our phone number is 9012446224 and our new address is 2074 madison ave STE 6, memphis tn 38104. we're in overton square, between memphis pizza cafe and chiwawa, and we share a building with maggie's pharm. joy, you can applique by hand with embroidery thread like we did in that owl pillow, or you can do it by machine. you are welcome to email me at maryallison(at)sewmemphis(dot)com for more info. again, so sorry for the delay! Hi, my friend is visiting Memphis in May & is looking for some Elvis fabric. I was wondering if you sell Elvis fabric or if would know where she would be able to buy some?